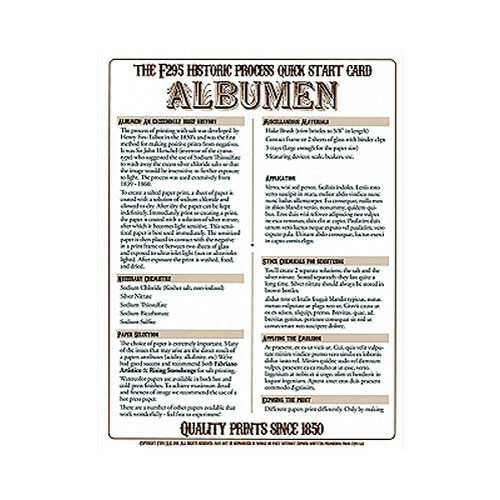 Historic Process Laminated Reference Card for Albumen Processing is an inexpensive and accessible resource to help guide work with albumen processing. It is great for classrooms and because it is laminated, you can use it next to a sink without fear of damage. With the help of this guide, quickly and efficiently begin making rich and beautiful photographs. Box Dimensions (LxWxH) 11.3 x 8.75 x 0.05"